Skye Gravestones | Duncan & Margaret (Macleod) Campbell, s. Graham. 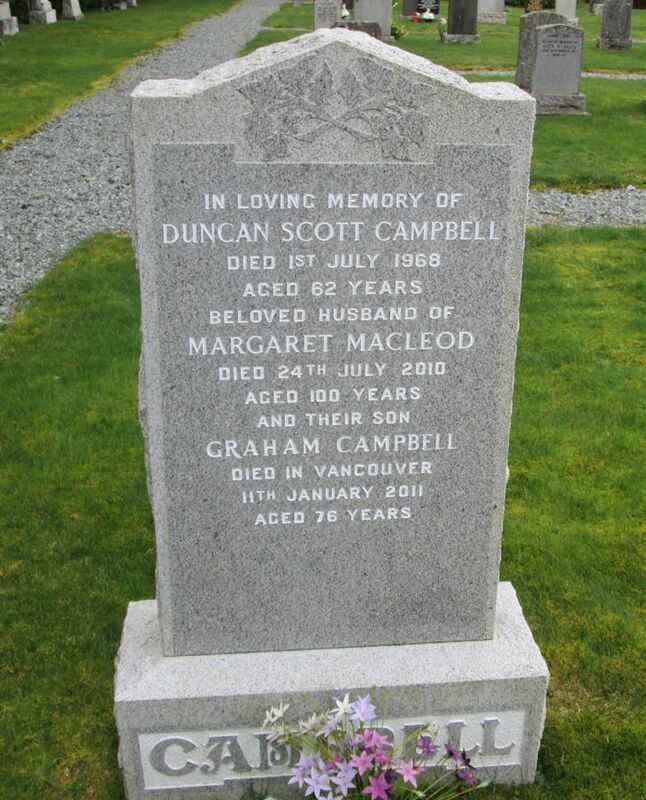 Duncan & Margaret (Macleod) Campbell, s. Graham. In loving memory of/DUNCAN SCOTT CAMPBELL/died 1st July 1968/aged 62 years/beloved husband of/MARGARET MACLEOD/died 24th July 2010/aged 100 years/and their son/GRAHAM CAMPBELL/died in Vancouver/11th January 2011/aged 76 years..
Picture Added on 11 May 2014.